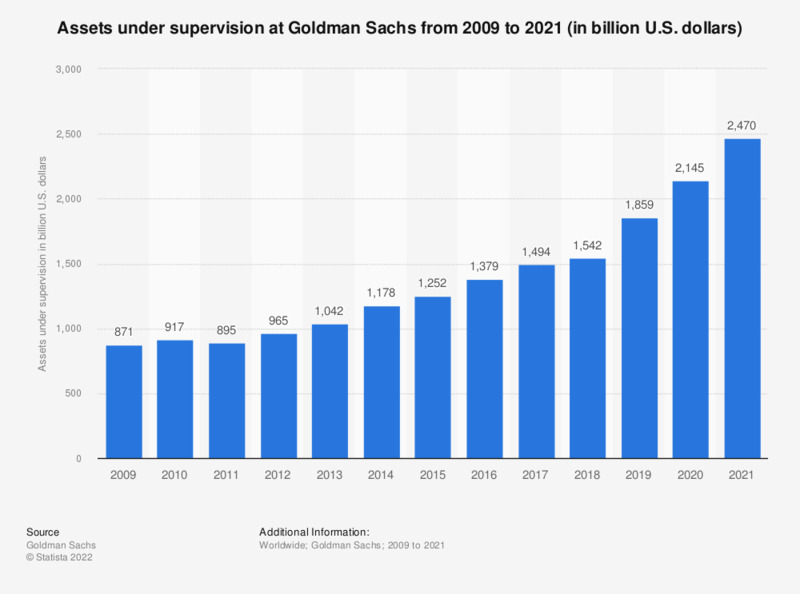 The statistic presents the assets under supervision at Goldman Sachs from 2009 to 2018. Assets under supervision include assets under management and other client assets on which the bank earns fees for advisory and other services. Assets under supervision at Goldman Sachs amounted to approximately 1.54 trillion U.S. dollars in 2018. Assets under supervision include assets under management and other client assets without investment discretion on which the bank earns fees for advisory and other services.